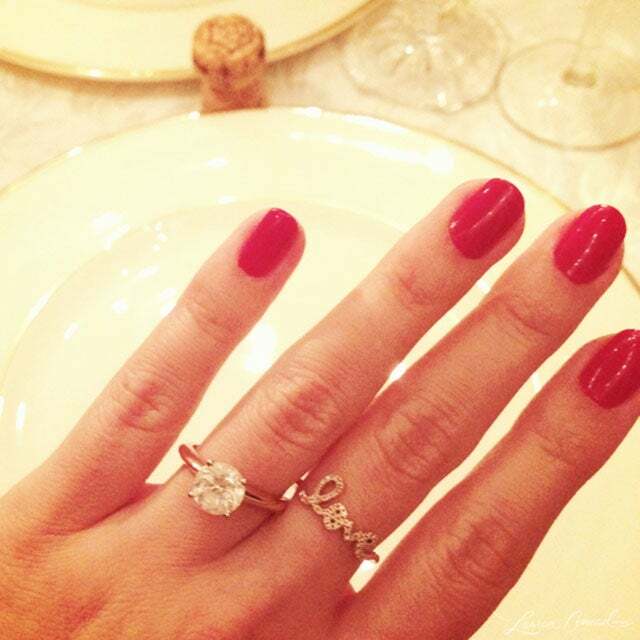 This is going to be big: Lauren Conrad announced today on her site that she's engaged to boyfriend William Tell! Of course, her engagement ring was perfectly matched with a bright-red manicure and a delicate, romantic Sydney Evan ring to match. Formerly of The Hills fame, Conrad has done a great job developing a brand and making a name for herself as a generally stylish person and jane of all trades. We've even featured a few of her site's utterly click-able articles, and take it from us, this girl knows her way around a beauty counter. And don't get us started on her Pinterest page — pure addiction. Indeed, we've heard she's already working on an inspiration board!